If you’re on the hunt for a career that allows you to use your people skills, business savvy, and property smarts, then becoming a property manager might be a step in the right direction. A property manager is an individual who is in charge of managing, maintaining, and operating a specific real estate property or estate when the company or owner of the property is unable to personally attend to it. If your’re interested in learning more about property managers, what they do, their annual salaries, how you can become one, and more, then you’re in the right place. We’ve laid out some of the key details about property managers and their industry to help answer any questions you might have about this career! In short, a property manager is a professional who is in charge of managing, operating, and maintaining a parcel of property — whether it’s a home, an estate, or even just land. A property manager is expected to deal with tenants who might occupy that property on behalf of the owner, ensure that the property is safe and well-kept, arrange for the maintenance and repair of the property, and act as the primary responsible party secondary to the owner or landlord. Overall, property managers handle all aspects of a property’s functions, including collecting rent, paying the necessary fees for the property, and managing all complaints. As a property manager (rather, as a successful property manager), you can anticipate making a median base salary of about $56,915. The top ten percent of property manager earners are reported as making about $64,234, while the lowest ten percent of property manager earners are reported as making about $49, 586. When working for a real estate company, property management company, or other private or government owned companies, it’s likely that a benefits package will be included in this line of work. In order to be come a certified property manager, you’ll need either a bachelor’s or master’s degree in real estate or property management. Commercial property owners are required to have, at minimum, a bachelor’s degree, though a master’s might broaden your career horizons. If you do not want to pursue a degree, you are able to complete courses offered by the Institute of Real Estate Management in order to qualify for this position. Once you have your degree or have completed your IREM coursework and required hours, you must pass the property manager’s exam which is offered by IREM. Depending on your company, job outlook, and career path, you might need to apply for and be approved for your real estate license as well. Once you’ve passed your exams, taken your courses, and are approved to become a property manager, consider working with a mentor to hone your skills even further. If you can, find an internship, apprenticeship, or a job that uses on-the-job training as part of their program. Continue working on your personal and professional skills by completing additional coursework, workshops, and programs. Consider applying for certificates and programs from professional organizations like the Community Association Managers International Certification Board, the Institute of Real Estate Management, and BOMI International. What Education is Required to be a Property Manager? Applicants and prospective Property Managers must have either a bachelor’s or master’s in real estate, business administration, public administration, or another related field. If prospective property managers do not have these, many states allow them to take comprehensive courses from IREM in order to qualify. 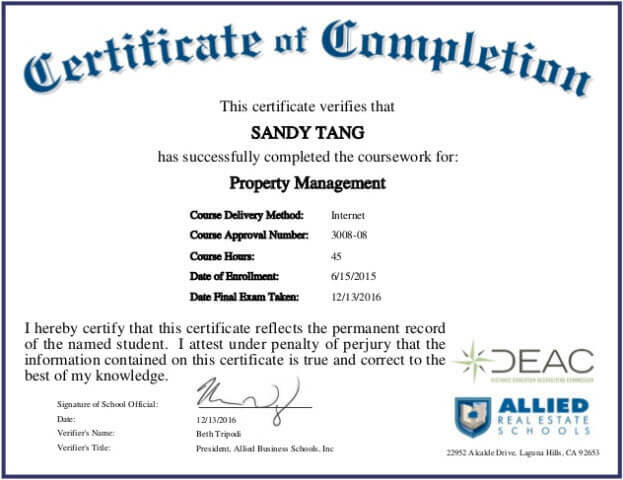 What Certificates or Licenses Are Needed to Become a Property Manager? A property manager is required to pass their industry exam, known as the Certified Property Manager credential, which is given by IREM. Some states might require property managers to compete for their real estate license as well. What is the Job Outlook for Property Managers? The demand for property managers is relatively unchanging, and if anything, is only increasing as the real estate market increases. According to the Bureau of Labor Statistics, employment of property managers is set to grow about 10 percent from 2016-2026, which is considered faster than average for all occupations in the US. The growth in the single-family housing market likely has a positive influence on the demand for property managers, as well as the increase in building and developing in both urban and rural areas. That's a higher than average projected growth of 32,600 jobs. 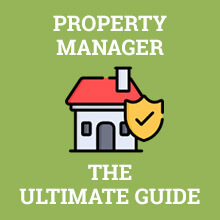 Should You Become a Property Manager? Taking and overall look at the property manager industry, it’s fair to say there’s a relatively high rate of satisfaction for the people working in this market. With fair, but modest pay, a bit of investment in education, and plenty of room for the industry to grow, it’s safe to say that this could become a long-term career for people willing to study, work hard, complete course work, and manage time and multiple properties. While this isn’t a low-paying job by any means, it’s certainly not going to pull in a six-figure salary anytime soon (unless, of course, you’re in a unique situation). That being said, you can expect to make an average salary of about $56,915. At most, reported earnings for property managers reaches about $64,234, and at the lowest end, you can expect about $49,586. They project a 10 percent growth rate from 2016-2026. The required education for becoming a property manager typically calls for a bachelor’s or master’s in a real-estate related field, however, those without degrees are able to complete courses through IREM in order to reach their number of certified hours and be prepared to take their CPM. Q. Do You Have to Have a License to Be a Property Manager? You will need to pass your Certified Property Manager exam (which is offered by the Institute of Real Estate Management) in order to be a licensed property manager. Q. How Much Does a Property Manager Make Every Year? On average, property managers make about $56,916 annually. Q. What Do You Do As a Property Manager? As a property manager, you’re charged with acting as the decision maker and caretaker of a given property. Not only will you handle issues and communication from both the tenant and landlord side, you will be in charge of fixing problems, keeping the property in proper shape, making important decisions about the property, paying fees, collecting rent, and more. Q. What Do You Need in Order to Become a Property Manger? In most cases, you will be required to have a bachelor’s or master’s degree in a relevant field, or have taken the IREM courses in order to qualify to be a property manager. You will be required to pass your CPM exam, too. Q. What are the Skills Needed to Be a Property Manager? You will need to hone your interpersonal skills, your customer-service skills, your organizational skills, your problem-solving skills, and your communication skills. Well, I am on the hunt for a career that will allow me to use my people skills and property smarts. I believe becoming a property manager might be a good fit for me. Wow. Just knew that a property manager is an individual who is in charge of managing, maintaining, and operating a specific real estate property when the owner is unable to attend to it. I see people do that and I love it but didn’t really understand it until now. A property manager is not just expected to deal with tenants who might occupy a property on behalf of the owner. It takes a lot more. Like ensuring that the property is safe and well-kept, arrange for the maintenance and repair of the property, collect rents, listen to tenants’ complaints and lots more. It can be really tiring but the pay is good at least.